Biometrics. When you hear that word your mind probably jumps to thoughts of Jack Bauer in 24. Possibly Tom Cruise’s character in Minority Report. Or Daniel Craig as James Bond. Regardless of what hero comes to mind, we typically associate biometrics with identity verification or security. But often overlooked are the vital insights and ease of use biometrics enable. This presentation will look at biometric technology and what the future holds for consumers. Imagine sitting on a plane when your smartwatch, using biosensors, registers a decrease of glucose, signaling a drop in your blood sugar. The flight attendant is alerted and you are given water and a snack. 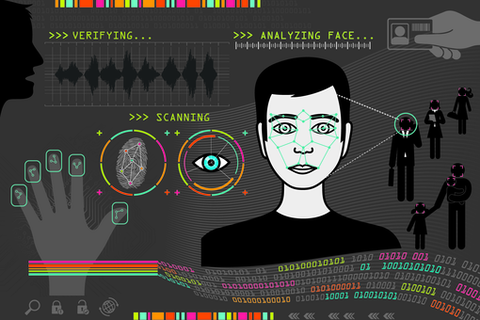 This is the type of intelligent experience biometrics can provide. Skooks Pong of Synapse will give us a deep look into the life-changing capabilities this technology can unlock. Driven by limitless curiosity and a passion for doing things right, Skooks has a reputation for clarity and insightfulness, providing valuable perspectives on product development, operations and marketing. Skooks is the Senior Vice President of Technology of Synapse Product Development, and the company's most tenured employee. Responsible for building an organization of dynamic engineers and thinkers, his mission is to strengthen Synapse's position as a key source for leading-edge concepts in technology. With a lifelong interest in hands-on creation and realization, Skooks approaches the business of product development with skills drawn entirely from real world application. Eschewing technical training, Skooks spent more than 20 years successfully designing, developing, and delivering prototypes across a broad range of industries before bringing his singular expertise to Synapse.